So far Disney have given us some amazing poster art for their forthcoming film Moana. While the previous efforts have concentrated the vastness and isolation of the world this new look at the film brings the characters to the fore. 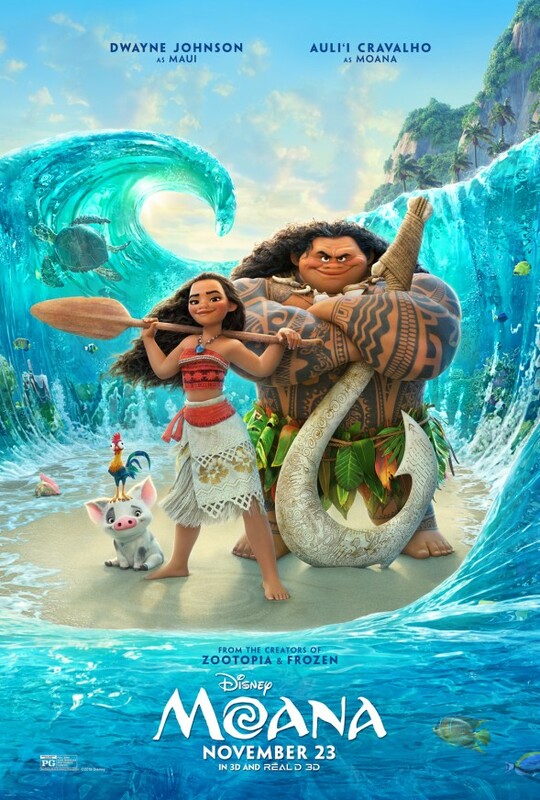 Moana, starring 14 year old Auli’i Cravalho, has the might of Dwayne ‘The Rock’ Johnson in its favour, and this new poster is all kinds of great. The Rock tweeted out the new poster today, promising a brand new trailer tomorrow. Can’t wait.